This blog is a complement to my more formal academic writings on media. 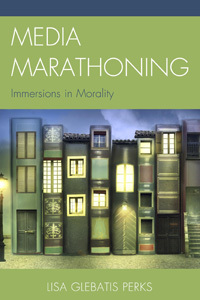 I published Media Marathoning: Immersions in Morality with Lexington Books in 2015. The blog functions as a productive space for me to work out ideas, share teaching resources, have conversations about media, and explore topics that did not fit into the book manuscript. Please contact me at perksl@merrimack.edu if you want any more information about my media research or teaching.